We are sorry to have sad news to share in this holiday season. 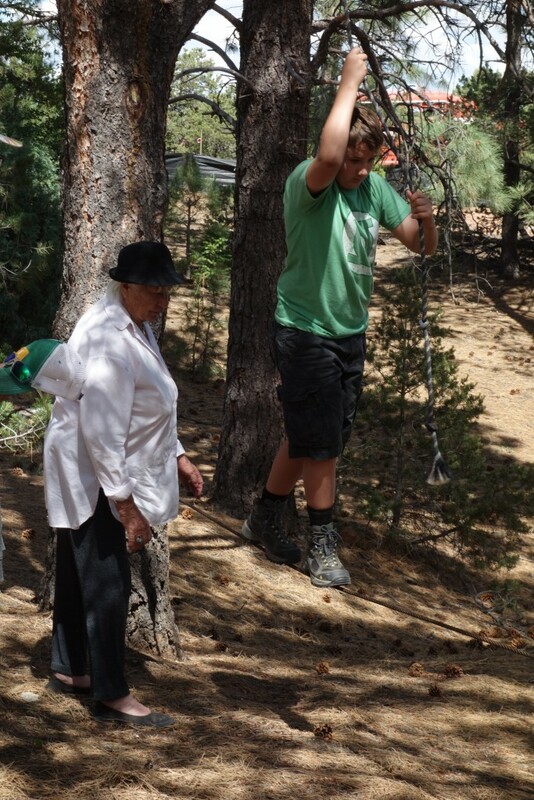 Senta Hoge, our host from 2014-2016 at the Santa Fe Tree House Camp, passed away December 9th. Please join our Mountain Friends Camp community in holding Senta and her loved ones in the Light. Senta passed on quickly and in her own home, leaving behind memories of joyful and peaceful times in nature in the minds of the thousands of children and adults who came through the Tree House Camp over the decades. “Today I am remembering Senta’s love for the animals…Because I had known her for 30+ years, I knew many of her animals and got to watch her care for and about each one of them! “When I first met Senta I was in my early 50s and feeling I was almost on the downhill side of life. I was so impressed and inspired to learn that Senta was already my age, and had a long and busy career behind her when she and Charles conceived the idea for Tree House Camp and then slowly but steadily worked to put flesh on the bones of their dream for the next several decades: a whole new life when many people in their phase of existence would be contemplating a future of week-earned rest and retirement.